As I’ve written before (Post 1, Post 2), I have had a longtime love affair with the music of the Grateful Dead. Yes, I’m a proud and unapologetic Deadhead. At the same time, I wrote back in July 2010 that some extended periods of immersion in the Grateful Dead contributed to my missing out on new music, often great new music, and that I’d almost entirely missed the music of the 1990s. Well, in a move that will once again keep my attention diverted from new music for the foreseeable future, I’ve recently accepted an invite to join a friend’s band, a band whose repertoire is pretty heavily loaded with Dead tunes. My friend and I ran through some of their songs last night, and I particularly had a blast playing the Dead’s version of the Otis Redding song Hard to Handle. Hard to Handle has been covered by a LOT of musicians over the years, including the Black Crowes debut hit, ironically, in 1990. 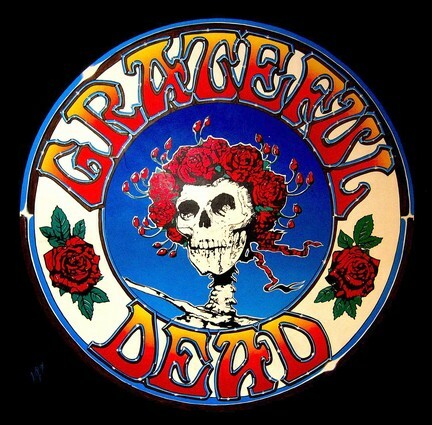 I’ll always love the Grateful Dead version best for its glorious sloppiness and jammy goodness. As a rhythm guitar player, it’s a song that demands creativity, thanks to its very simple chord progression, and especially during the extended jam in the middle, which basically sits on the B chord for about as long as any B chord can be sat on. If you don’t know a multitude of ways to form the B chord and embellish it with slides, hammer-ons, pull-offs, and single-note flourishes, you will be one bored as hell guitarist, and the audience will bore quickly as well right along with you. Anyway, I thought it would be fun to compare the three versions I’ve mentioned, though, sadly, I couldn’t find a live performance of Otis singing it. I’ll leave you to decide your favorite. There’s no wrong answer, despite my bias.